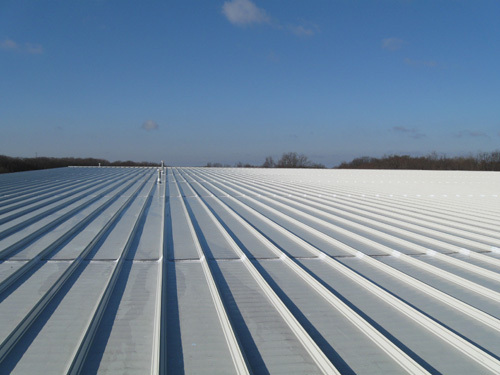 Non-members as well as members of the Roof Coatings Manufacturers Association are now able to use the group's enhanced database on nation-wide reflective roof incentives. The Reflective Roof Rebates Database includes a comprehensive list of rebates, loans, grants, and tax credits pertaining to reflective roof coatings applied to low-slope and steep-slope roofs. The group announced the public availability Thursday (March 3). Members as well as non-members of the Roof Coating Manufacturers Association may now search the organization's Reflective Roof Rebate Database. The database covers all of the United States, including state, local, and utility company rebate programs and uses a customized search tool to find the most up-to-date listings available for installing reflective roofs, according to RCMA. The search tool also offers filtered results by energy rebates, reflective roof rebates, or all available rebates within a specific state or ZIP code, RCMA states. Originally created exclusively for use by RCMA members, the Reflective Roof Rebates Database was enhanced in 2014 with increased searching functionality. The database has since been further enhanced to include steep slope roofs and increase the frequency of updates for California, Florida and Texas. Those states are now updated on a monthly basis, while all other states are updated every three months. Additional information available within the database includes details on each of the available incentive programs including eligibility, links to supporting documents, key program contacts, and online applications to apply for rebates. There is also a "view print" option that allows users to easily review the available information in a ready-to-share format, RCMA notes.